Caregivers. 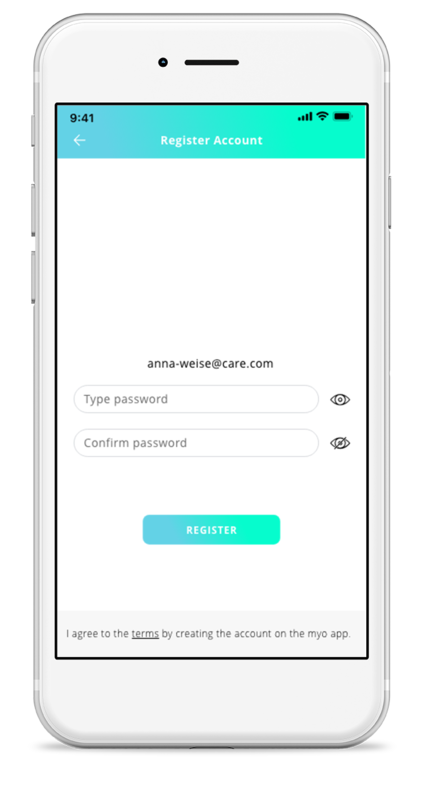 The App was developed by caregivers and for caregivers. Have more time for care. The direct communication prevents the risk of confrontation as content is shared simply and immediately with particular relatives. 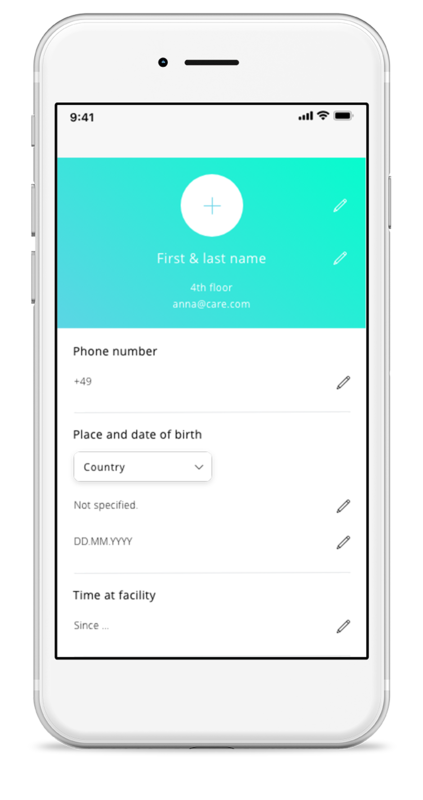 EU-GDPR compliant exchange through a communication platform that was specifically designed for the care industry. Allowing for better and more effective workflows. Receive proper appreciation for your work. 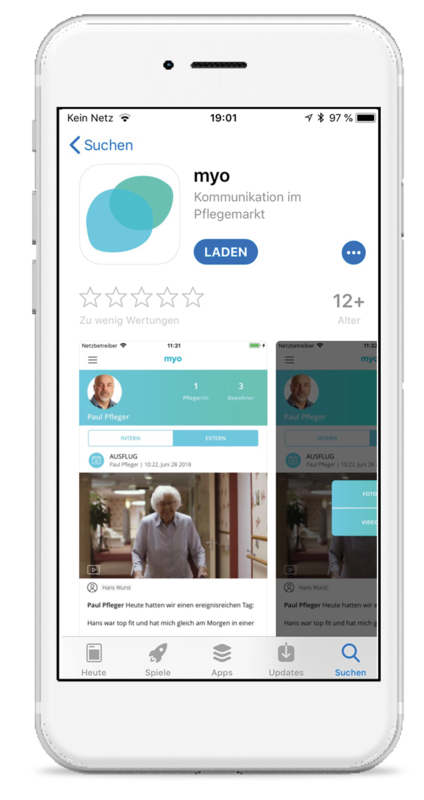 With myo, relatives get an insight into the daily life in care. Seeing the professionalism and love result in relatives expressing gratitude and appreciation. Caregivers share photos, videos, text- or voicemessages with relatives (external) or colleagues (internal). After selecting a senior and the corresponding relatives, the content is categorised by organisational, medical, or other events. For best overview all content is a shown on a timeline. 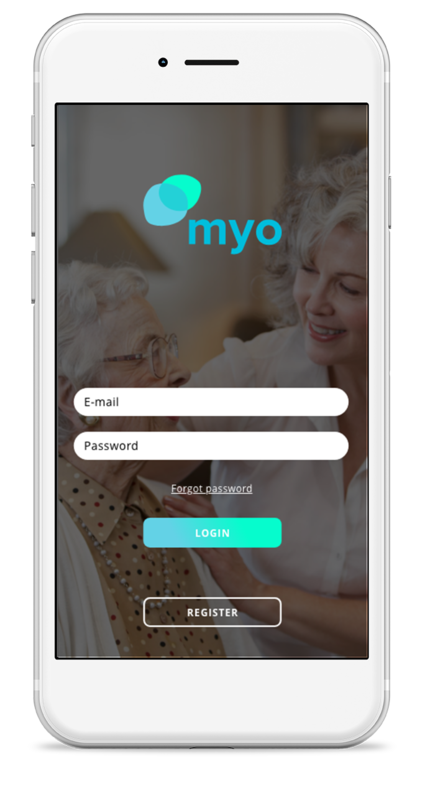 You are interested, but your care home does not yet use the myo app? Before you can start using the app, you need a QR-Code that your care home will send to you via email!